Should Manchester United fans be worried after Paul Pogba’s latest Instagram post? Home / Sports / Should Manchester United fans be worried after Paul Pogba’s latest Instagram post? Has the 25-year-old dropped a major hint over his future? 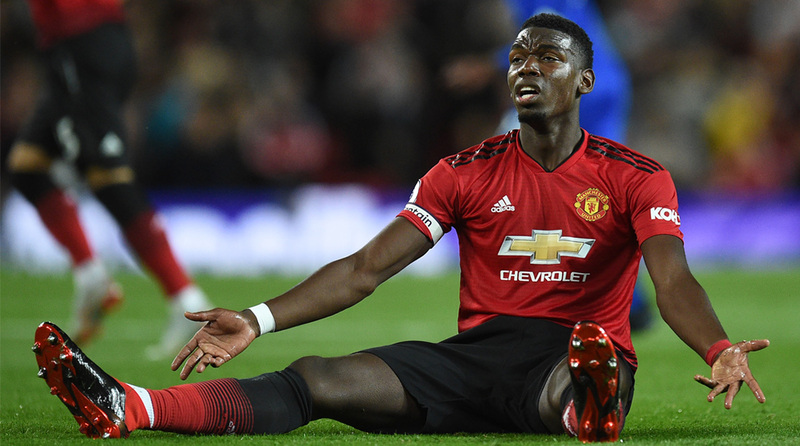 The Catalan giants, on the alert after Pogba’s ‘rift’ with manager Jose Mourinho came out in the open, are reportedly chasing the World Cup winner, despite United’s firm no-sell policy. Still, the fact that the star midfielder and Mourinho reportedly don’t see eye and Pogba’s notorious agent, Mino Raiola, is pushing for a move, a transfer to the Nou Camp can’t be ruled out. Mourinho offered Pogba an olive branch on Friday by giving him the captain’s armband for the first game of the new season and the midfielder responded with one of his better displays for the club. So what’s Pogba trying to say? That he’s a model professional and despite all the on-field chatter, he’s just focused on his game? Or is he assuring the fans that he’s committed to the club no matter what? The transfer window for the rest of Europe, as mentioned earlier, closes at the end of the month and it remains to be seen if the talented midfielder will remain a United player beyond August 31. United next play Brighton & Hove Albion on Sunday and will strive to keep their winning start to the season intact.